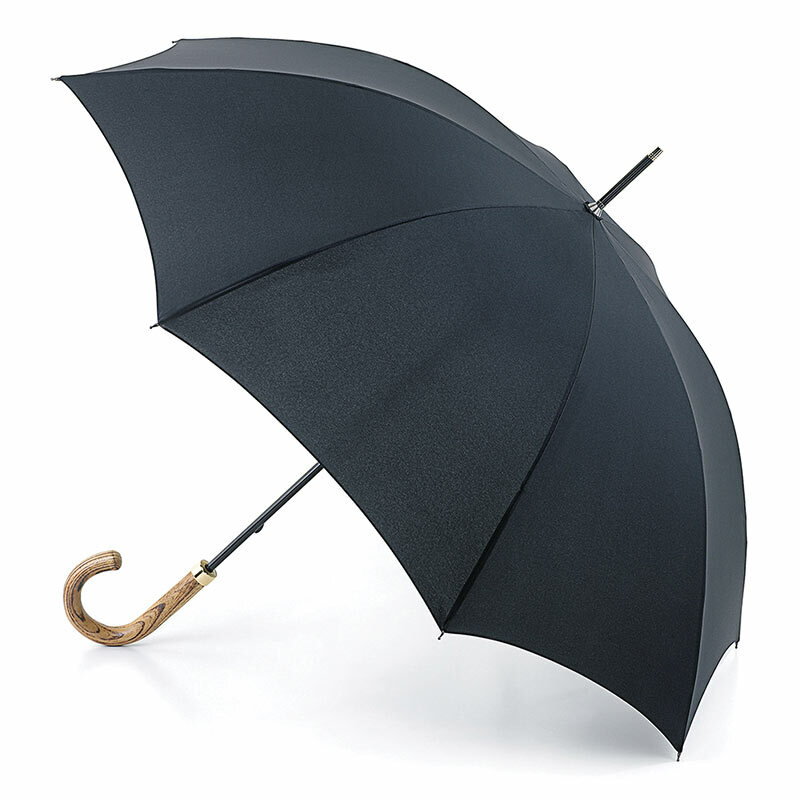 The Fulton Commissioner is a traditional black walking umbrella for gentlemen with a good size canopy span of approx. 104 cm. 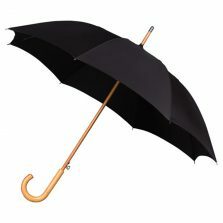 Truly a top quality gent’s black walking umbrella with a luxurious elm wood curved handle and is manual opening. It also has a strong black canopy made of a high performance polyester “pongee” fabric. As well as boasting an overall length of 90 cm from handle to tip. 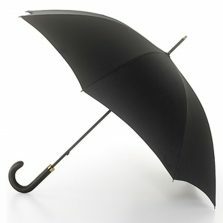 The Fulton Commissioner is a fantastic quality full length, walking style umbrella. 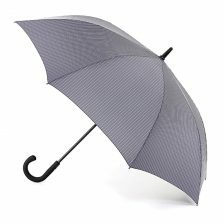 Brought in from the British manufacturer of traditional, fine quality umbrellas – Fulton. Fulton are a well established British umbrella manufacturer whose umbrellas are also used exclusively by HM Queen Elizabeth II. Not the right brolly for you? 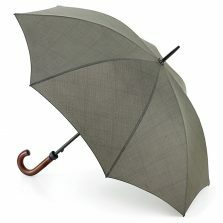 Check out the rest of our quality range of mens walking umbrellas!